We had a pretty chilled evening yesterday after our exertions in the hills, nothing more strenuous planned than lifting binoculars to scan the ever changing landscape and the escape of a good book. That was of course until an immature Golden Eagle decided to soar straight up our valley, skirting the house before heading away over the hills. Half an hour or so later and it was back, this time perched off in the distance being continuously harried by a pair of Hooded Crows. Even apex predators have trouble finding a moments peace it seems and eventually persistence beat size and the Goldie almost reluctantly lifted into the air and was lost from sight soon after. Although never close enough for anything particularly spectacular I did try for a couple of record shots nevertheless. Iced over puddles this morning told their own story and it didn’t come as a shock to find temperatures struggling to tickle anything higher than mid single figures. Find a little shelter however and you could almost be convinced that hats and gloves weren’t necessary, the tropical white sands and crystal clear waters of Calgary Bay undoubtedly helping as well. Being still relatively early we had the beach mostly to ourselves and there was an incredible selection of birds on display including a simply awesome summer plumaged Black-throated Diver. It was ranging widely across the bay and when not submerged gave superb views of a species which until now we’d only seen once previously (and in winter plumage at that). Keeping it company were a pair of Razorbills, one of which came within a few metres of the shore, whilst at least two Great Northern Divers were lurking much further out. 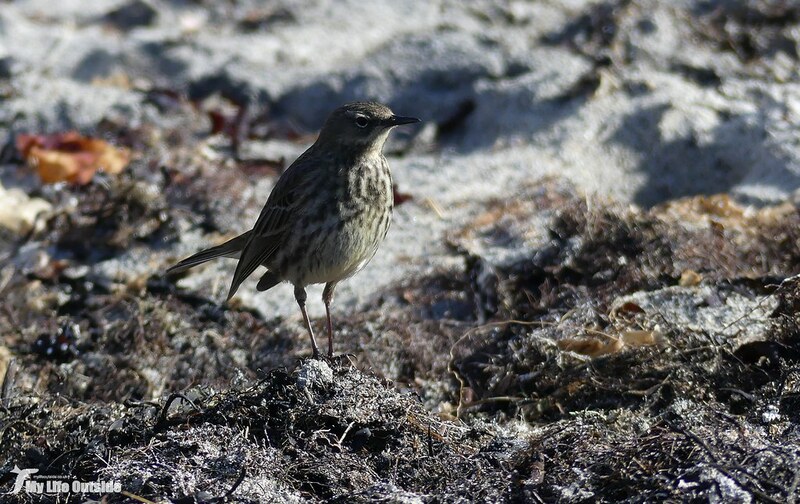 Then of course there were the usual regulars including Common Gulls, Oystercatchers, Cormorant (not at all common on Mull where Shags are more prevalent) plus Rock Pipits, a species unusually absent so far this week. 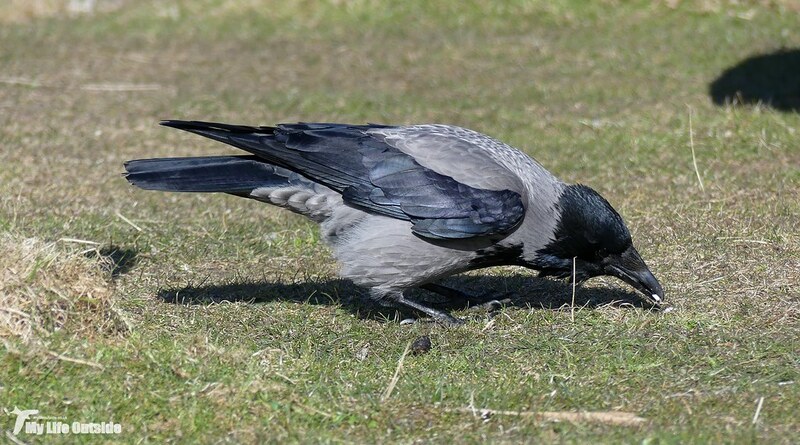 Even the Hooded Crows were being strangely approachable and seem to have discovered that a knack for catching titbits mid-air is a sure fire way to attract more food from tourists. 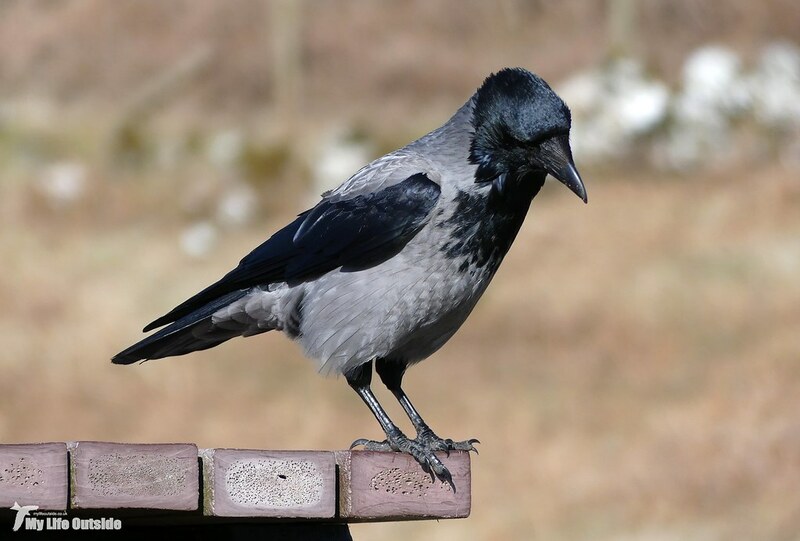 Clever birds those corvids. Our next stop was Dervaig where with the tide out there were plenty of feeding opportunities for waders. Five Redshank and a pair of Greenshank were pretty good counts for here as was a male and two female Mergansers. Crossing the hills towards Tobermory however blew even Wednesday’s raptor spectacular out of the water. 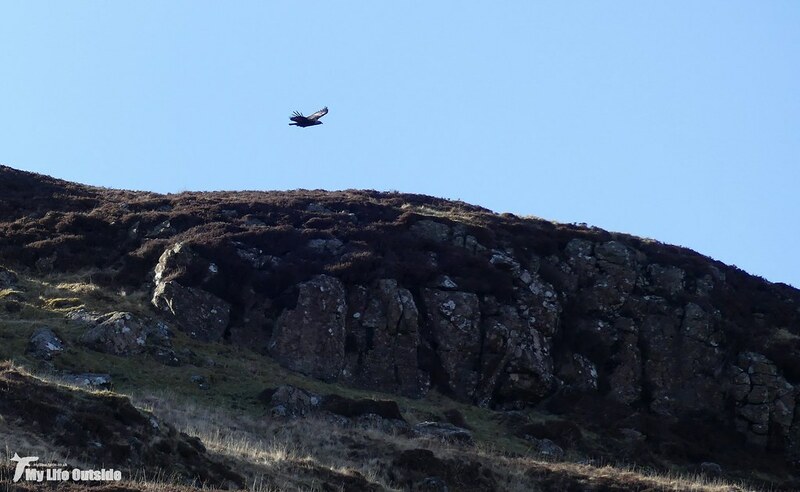 Above Loch Tor we watched seven White-tailed Sea Eagles occupying the same section of sky whilst just down the road next to Loch Frisa there were three Hen Harriers (one male and two females) quartering the hillside. These were personal record counts for both species on the island with the male Hen Harrier an especially rewarding sight. There’s just something about that grey plumage which bares no comparison. 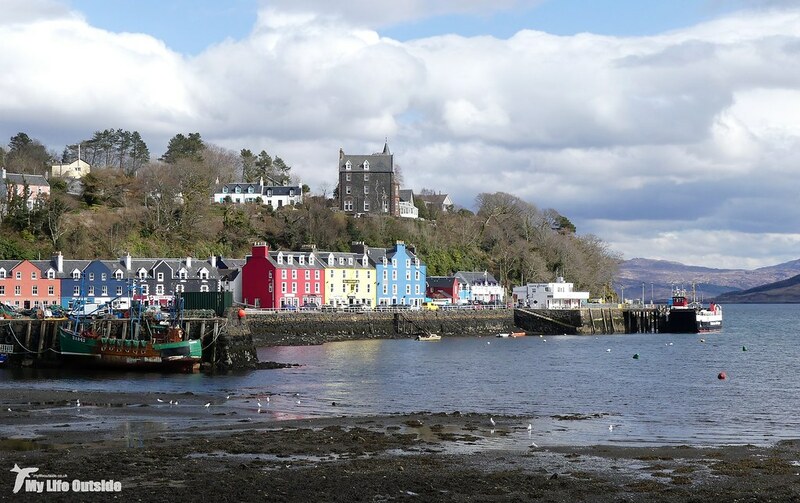 Tobermory was its usual cosmopolitan self with most shops now open or at least putting together the final finishing touches before the season begins in earnest in a couple of days time. Conditions had gone noticeably cloudier since this morning but even so the classic high street photograph had to be taken. 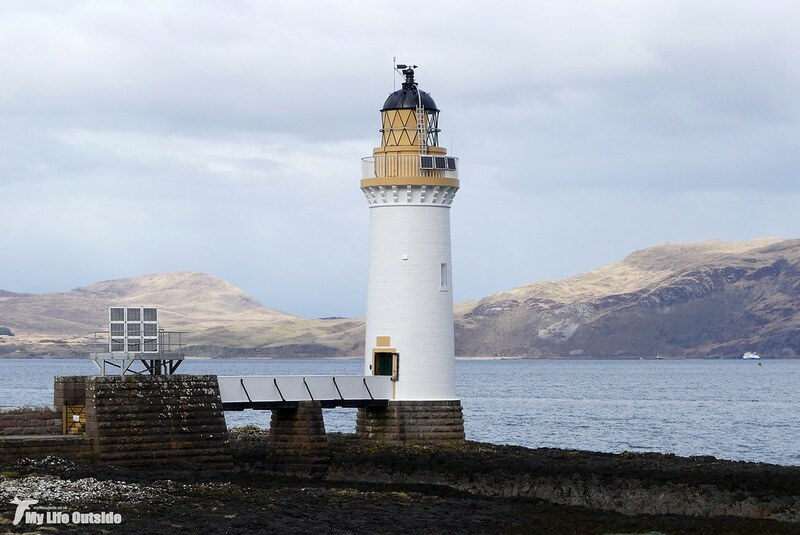 I had no real need to visit Mull’s capitol other than to walk the newly reopened path to Rubha nan Gall lighthouse. This used to be a favourite route of ours before it closed four of five years ago as a result of landslips and subsidence. Since then some stellar work has gone into making it safe to pass once more and in doing so the views have been opened up considerably. 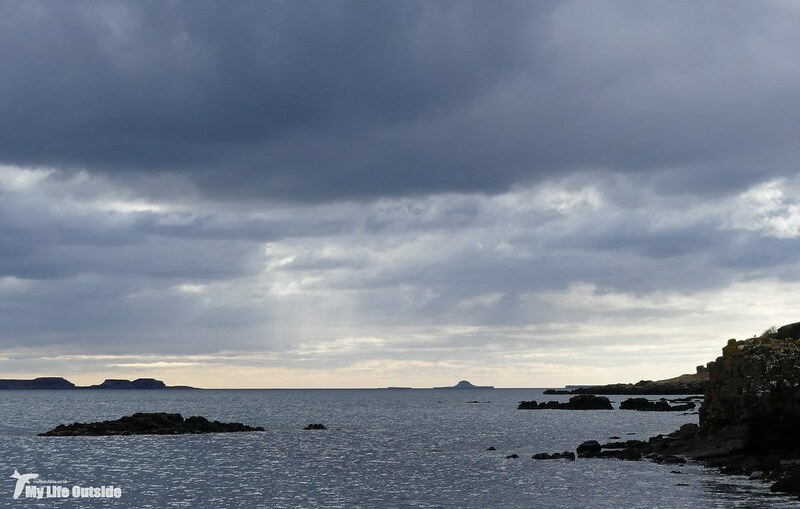 I was pleased to see the lighthouse itself looking resplendent as ever and if anyone fancies accommodation truly off the beaten track then it looks as though the old keeper’s cottages have recently undergone their own extensive renovation and are open for business. A few quid in the donations box on our way out seemed appropriate for all the work that’s been put in. 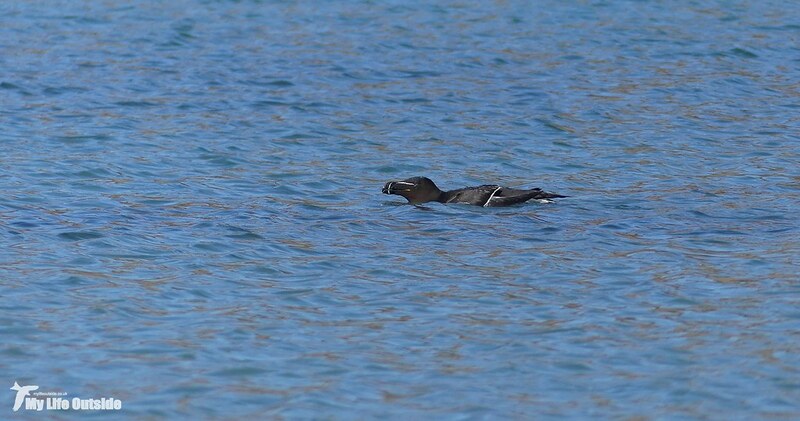 Wildlife sightings along the way included a Grey Seal and winter plumaged Guillemot whilst a Black Guillemot in Tobermory harbour itself was a nice surprise. Back on the road we were delighted to spot a trio of Goldeneye on the Mishnish lochs at the second time of trying and equally pleased to find six Common Snipe had joined the wader collective at Dervaig. Another ringtail Hen Harrier from the hill road and impromptu hail storm saw us delivered to Torloisk, our final stop of the day. 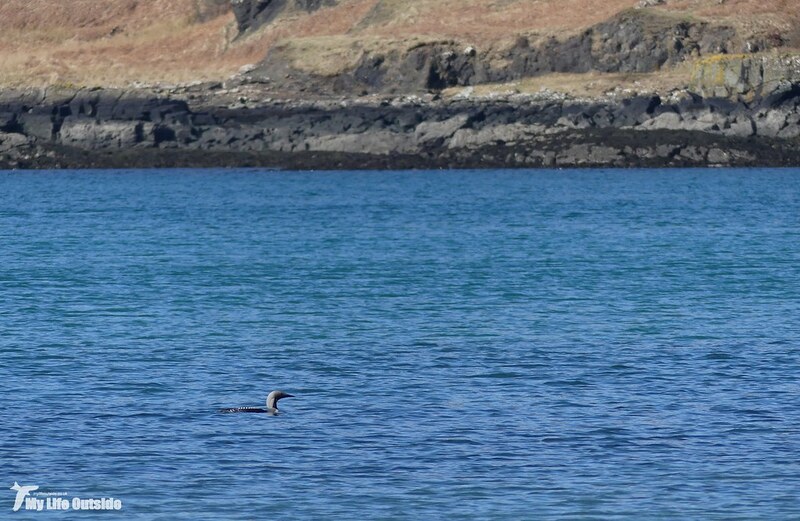 Against a dramatic backdrop there were another couple of Great Northern Divers and in what had been a day for birds in unexpected places it was almost poetic that a male Goosander would be fishing the rock pools north of our position. We finished off with another White-tailed Sea Eagle as we neared the house but couldn’t stretch our Wheatear count beyond the lone male seen a couple of days ago. With more snow forecast for early next week the chance of any more turning up before we have to head for home is looking slim.